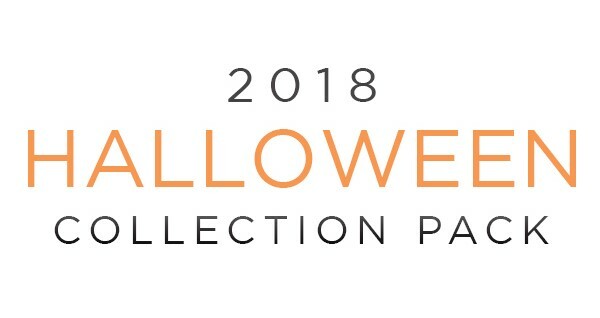 Update as of 09.07.18: The Halloween 2018 Collection Pack is sold out. It’s time to dust off the decorations and get ready for the spookiest time of the year! And, to help you prepare for our limited edition Halloween 2018 Collection, we’re kicking off a special presale just for our Designers today! Our limited edition Halloween 2018 Collection will be revealed and launched on September 12 for everyone, but Designers only can participate in a special presale starting today, Thursday, September 6 at Noon CT through Wednesday, September 12 at 11:59 p.m. CT, or while supplies last. The Halloween 2018 Collection Pack will be available in your Designer Back Office under Shop > Halloween Collection Presale. This pack will include one of each, limited edition jewelry items. Please note: Supplies are limited on these packs, so be sure to grab yours quickly if you want the full collection first. You can purchase a max of one (1) Presale Pack in your Back Office by going to Shop > Halloween Collection Presale. Please note, you cannot combine any other items with this order. Join us for the reveal and launch of the Halloween 2018 Collection on the official Origami Owl Facebook page on Wednesday, September 12 at Noon CT. You don’t want to miss seeing this boo-tiful collection, so you can start planning your upcoming events and Jewelry Bars®. To help you promote this exciting reveal event, we’ve added TWO teaser images to your My O2 Connection app under Social Media Images. Go check it out and share them in your Facebook VIP Group! Here are FAQs about the Halloween 2018 Collection Pack.